Ryan Duggan has brought back his Treasury of Shitting Dogs series for 2018 and the first print in the monthly series is up. 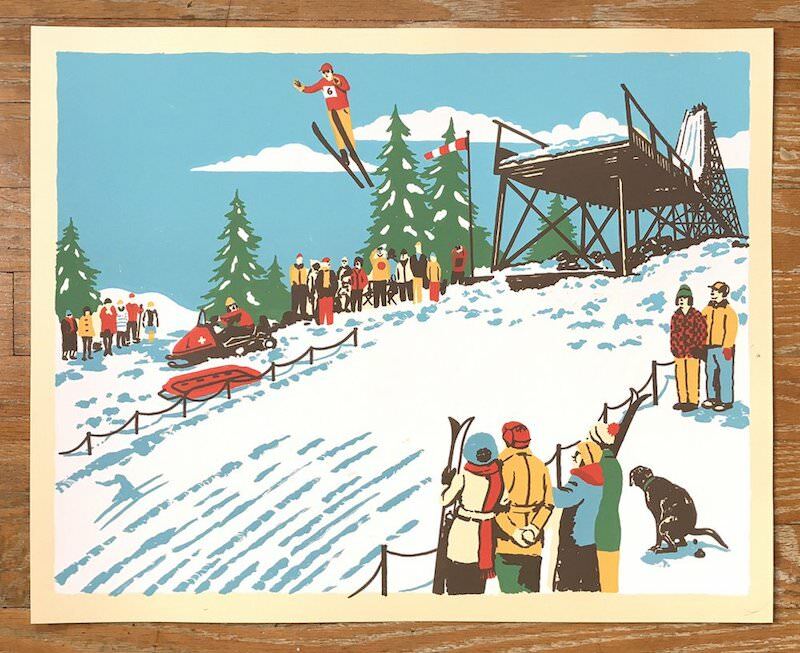 “A Day at the Ski Jumps” is a 20″ x 16″ screenprint, has an edition of 50, and costs $40. Visit DrugFactoryPress.com.